For years Sergis ran his small retail business from his store in a local shopping center. Every week a visitor would drop by to collect a percentage of his sales. The visitor wasn't his landlord; the mafia had taken control of business in his small country. Through the ministry of a marketplace Christian, Sergis came to faith in Christ, and God began a deep work in his life. One day Sergis decided he could no longer give God's money to the mafia. A few days later his "friends" paid him a visit. They kidnapped him, blindfolded him, and placed him in a jail cell located in the middle of a mafia-controlled house. During the night Sergis sat in the jail cell discouraged. Two locked doors with guards separated Sergis from his freedom. Suddenly, in the middle of the night Sergis awoke to a voice: "Sergis, get up. Follow me." 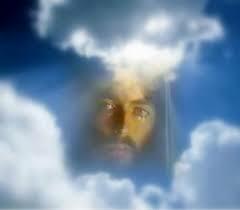 Sergis awakened to a real, in-the-flesh, angel of God sent to deliver him. The angel opened the doors while the guards remained asleep. Sergis and the angel walked quietly past the guards to freedom. Sergis immediately went to his Christian brothers to share the miracle that had just taken place. This true story is living proof that we serve a God who still does miracles on behalf of His servants. Ask God for the miracle you need today. Dear Lord, thank You that You are a God of miracles. Help us to remember that You are always there and all we have to do is call upon Your name. In Jesus’ Name. Amen.